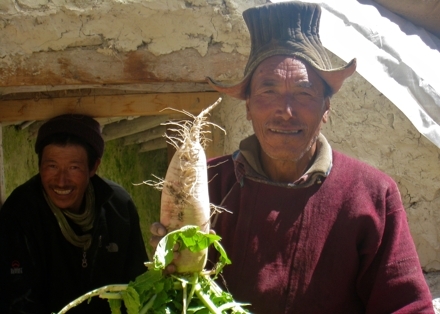 Working with local NGOs and community groups, Lille Fro is helping teach families the skills to grow fresh vegetables year round, which can dramatically improve the wellbeing of disadvantaged families living in isolated regions of the Himalayas. 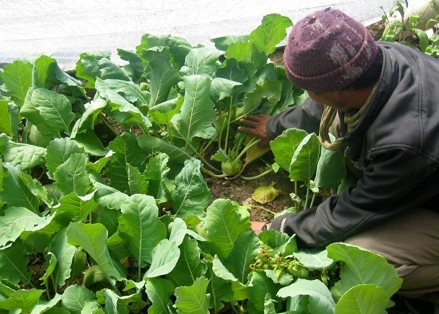 By funding a greenhouse, your donation is invested in our Community Fund which supports our greenhouse program and provides the training, seeds and tools needed to build a community greenhouses that can supply food for villages. Greenhouses are scaled according to the needs of indivudual villages and vary greatly depending on cost, size and location. Your investment will go a long way in helping to provide Lille Fro sponsored communities a source of fresh food with long-term benefits. Help support our greenhouse program. If you are interested in sponsoring an entire greenhouse project in a village, we would love to hear from you.